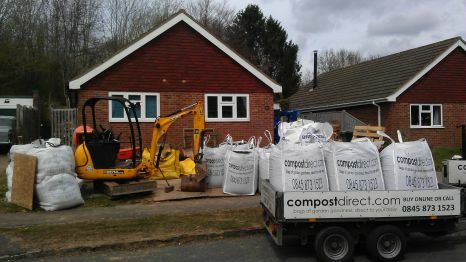 When Alan Titchmarsh called Compost Direct to help him out with his new ITV show we rushed to his rescue, helping transform a deserving families garden in East Sussex. We understand that schools are not always in possession of a credit card which can make internet ordering difficult. We have therefore introduced a simple system for online ordering with the need for a credit or debit card exclusively for schools. Simply choose your products, add to basket and complete all your details and delivery instructions as usual. When it comes to the payment part, simply select 'pay by phone' to complete your order. Your order will go through and be confirmed, then we will contact you to sort out payment either by cheque or bank transfer. 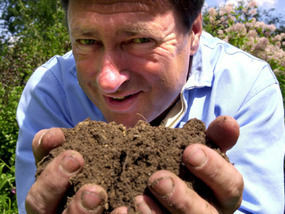 Following the launch of the Jubilee Compost in April to mark the Queens Jubilee celebrations, popularity for the new blend has grown. The continued demand for the blend has resulted in it now being listed as a mainline product amongst the best sellers at Compost Direct. A product to opening up heavy soils was identified by customers as one of their biggest challenges, with often the need to be shopping round for a soil improving product and also a horticultural sand. The Jubilee Compost with added Great British grit has been able to successfully tackle the job in a single dig. This product is a finely graded soil improver, made from naturally composted organic matter with added grit to help open up heavy clay soils. It is a peat free and environmentally friendly product. A soil conditioner or soil improver is a substance produced from organic matter which when dug into and mixed with soil helps to improve the soil properties and add slow releasing nutrients. A washed grit has been blended in to create the ultimate product opening up heavy and sticky clay soils. Specially formulated for London Clay soils. Added grit to open soil and improve drainage. Aids drainage by restoring structure of soil. British sustainably sourced materials with no added chemicals. “Making best use of your front garden is often overlooked...but with a bit of TLC not only can this space be turned into a useful and attractive area it can also add value to your home” says the Guardian. The Guardian then goes on to write that tackling the front garden for an overhaul can present a number of challenges, one of the main being soil quality. With front garden soil often being compacted, dry and dusty, plenty of organic matter needs adding before beginning planting. An organic soil improver, such as Garden Compost Soil Improver from compostdirect.com will help rejuvenate lifeless soils. 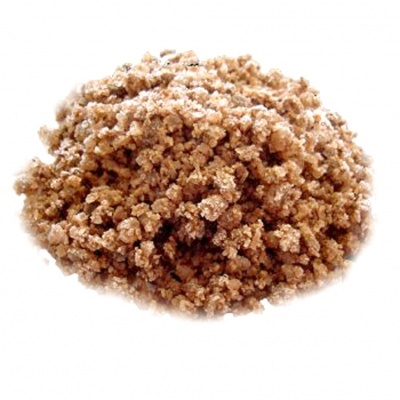 This product is a finely graded soil improver, made from naturally composted organic matter. It is a peat free and environmentally friendly product. A soil conditioner or soil improver is a substance produced from organic matter which when dug into and mixed with soil helps to improve the soil properties and add slow releasing nutrients. It has been naturally composted to destroy any weed seeds. Increases nutrient retention by reducing nutrients leaching away from roots, particularly in sandy soils. Ideal for London clay gardens and allotment, or sandy or reclaimed soils. A new report from Cancer Research has concluded that an active lifestyle such as doing gardening, housework and brisk walking helps to reduce the chance of getting breast cancer. The government recommends we do 150 minutes a week of moderate physical activity – such as brisk walking. But only 39 per cent of men and 29 per cent of women are managing this. “Keeping active could help prevent more than 3,000 cases of cancer in the UK every year. And it can have a positive effect on your health"
So with that in mind, here’s some information on how you can get digging with our Garden Compost and improve your health and garden at the same time. It is our most universal and widely used product. Dig it in to the soil for immediate benefits to the soil characteristics. For first use on heavy, undisturbed soils, double-dig the ground to break up any soil lumps and incorporate the Garden Compost evenly throughout the soil, from the bottom of the trench up to the soil surface. Aim to incorporate approximately a depth of 150 - 200mm of Garden Compost into the top 300 – 400mm of heavy soil. For lighter cultivations on pre-established beds or sandy soils, dig a depth of approximately 70 - 100mm of Garden Compost into the top fork depth of soil to continue to build soil humus and structure year on year. The Garden Compost is also commonly used for mulching, particularly around smaller shrubs and beds where a coarser mulch may be unsuitable. Apply approximately 50 – 80mm in depth of soil conditioner around the base of bushes and plants to benefit the plant, suppress weeds and feed the topsoil. For more information on mulching, see mulches. Garden Compost is best incorporated with soils from late autumn through to spring and left to settle for a couple of weeks before planting. It is suitable for use with light cultivations and mulching all year round. 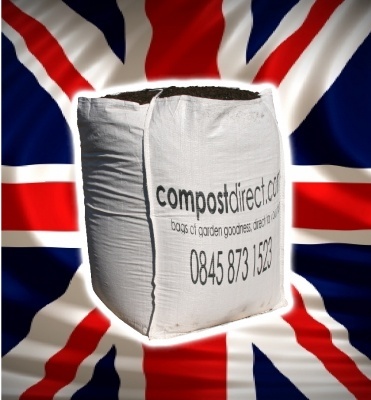 Celebrate Team GB’s Gold medal success with huge discounts on our Veggie Gold Compost, only £69.95 per bulk bag. It has been a fantastic few weeks for Team GB at the London Olympic Games. We have cycled, rowed, and even boxed our way to gold medals and now it’s time to get your garden to a golden standard as well! 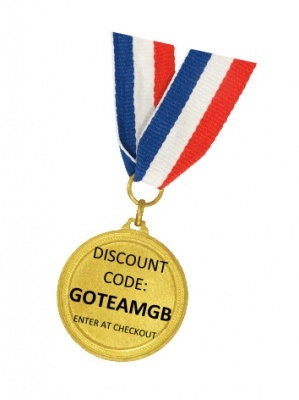 For a limited time only, buy our Veggie Gold Compost for only £69.95 by entering discount code GOTEAMGB at the checkout of your next order. A well formulated blend of compost, well-rotted manure and top soil, Veggie Gold has a high organic content so is ideal for creating vegetable patches and raised beds. Make your garden a winner this summer with Veggie Gold Compost. £60 wine voucher with every order…yes please! To reward all your hard work in the garden, we are now offering all customers a £60 Naked Wines voucher with ever order. What better way to enjoy your garden than to sit back with a glass of wine at the end of the day. Naked Wines offer a great range of red, white and rose wines that can be easily ordered online using the voucher sent to you with your next delivery. Just place your order with us, then follow the wine voucher details on your order confirmation. Buy your rock salt now to avoid disappointment when the cold weather hits! We suggest you keep a supply of rock salt well before you need it to avoid any rock salt shortages for your home and make sure you stay safe on the ice this winter.